Casper’s housing market is coming back strong along with rising oil prices. That means if you have a property for rent, you might be able to get a little more out of it the next time it goes on the market. There are a number of things that you can do to maximize your potential rental income on the property without doing a major overhaul to the kitchen and bath. If you are looking for quick tips to maximize potential profits, here are a couple to get you started. First impressions matter a lot when it comes to a rental property. When potential renters pull up, they are going to be evaluating the property to determine if this is the right place for them and their family. That’s why curb appeal is just as important–or maybe even more important–in a rental than in a home for sale. After all, someone who is buying a house can boost the curb appeal themselves after they buy, but they may not have as much leeway or incentive in a home they are renting. That means the property owner will need to do it on their own. Start by cleaning up clutter, keeping flower beds neat and clean, and adding some color through flowering pots and hanging baskets. If you want to get the most out of your property, you’ll need to give your renters a clean slate. A very clean slate. Your rental property should be spotless from top to bottom. This achieves a couple goals. First, it sets expectations for how you’d like the property returned to you at the end of the lease. Second, a clean property is going to bring in more money than one where the renter feels they are going to have to go through the effort of cleaning up someone else’s mess. And finally, when you start with a clean property, it can actually encourage your renters to take better care of the property when they are living there. Paint and carpet go a long way. If you are trying to spruce up your rental property while on a budget, don’t underestimate the impact that fresh paint and clean carpets can have on potential buyers. Carpets that have been professionally cleaned will help eliminate any odors left behind by the previous owners. Fresh paint will make the entire space look cleaner and brighter. Investing in both carpet cleaning and fresh paint won’t set you back very much at all, and the money that you are able to make on the property should more than pay for it in the first few months. Market it to the right demographic. Know your property and who is most likely to want to live there. If you have a five-bedroom executive home, you probably don’t want to be advertising the place to local college students. Likewise, don’t think that you are going to get more out of your one bedroom walk-up just because you are exclusively marketing to high-income professionals. Know who wants your rental and market it appropriately. Little touches make a big difference. Don’t neglect those little things that can make a big difference. For instance, including some or all of the utilities might mean more money out of your pocket, but for a busy professional that might mean less hassle paying bills and getting the utilities hooked up, and they might be willing to pay the premium. Or include cable and internet in your multi-apartment building. You’ll probably be able to get a discount on the bundle from the cable company but be able to add a premium on your rental price. If you don’t want to deal with utilities, don’t neglect small touches like replacing light bulbs, cleaning out the garage, and other small acts that will go a long way with your potential renters. 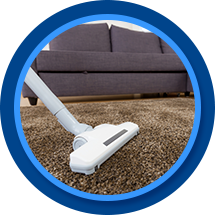 Are you looking for a professional Casper carpet cleaning company who can help you get the most out of your rental properties? AA Super Klean is here to help! Make us your carpet cleaning partner for all of your rental properties and we’ll make them look like new again. Get in touch with us for a customized quote on our services today.